If you’ve never seen Pirates of The Caribbean: Dead Man’s Chest and have no idea what I’m talking about, this may or may not help. Deciding on how to make the dirt was easy. Much like any flower pot cake, biscuit crumbs make perfectly deceptive enough dessert dirt. I blended up some sweet sand-coloured biscuits and added enough butter to make them adhere. But deciding on what to pair it with was filled with a lot more indecision. After throwing around a lot of ideas I decided there was only one solution; a heart. The thump thump. It is of course what Jack thinks is inside the jar when he’s sing-songing about it. 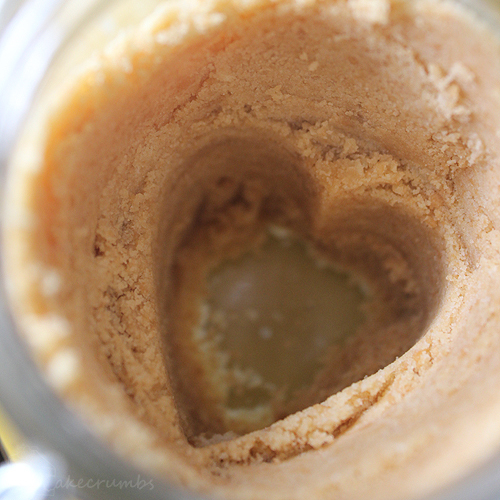 I pushed the biscuit crumbs up the side of the jar so that from outside they would hide what was in the middle, then used a heart-shaped cutter as a guide for shaping the rest. 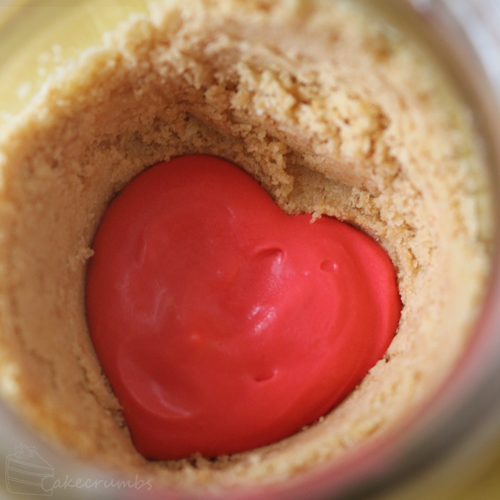 I made the heart-shaped column deep and reaching as far as the bottom or the jar so you’re still getting a decent amount of filling with the biscuits. Then all that is left is to fill it. I opted for cheesecake as it’s one of Cameron’s favourite things, and a standard pairing with biscuit crumbs. It’s easiest to pipe the filling in so you don’t dislodge the biscuit crumbs. After a little time to set in the fridge your jar of dirt is ready for all kinds of deception. Or just for nomming. You can flavor it with and of your favourite flavours. I went for strawberry simply because the colour (and what I had on hand) prompted it. There’s no baking in this recipe, so you don’t have to find heat-proof jars. This also means that you can tailor the size to your preference. If you want a greater ratio of cheesecake to biscuit you can get a wider jar. This was mostly me having a little fangirl moment, but you can use the idea for a dessert for a loved one for an occasion or otherwise. 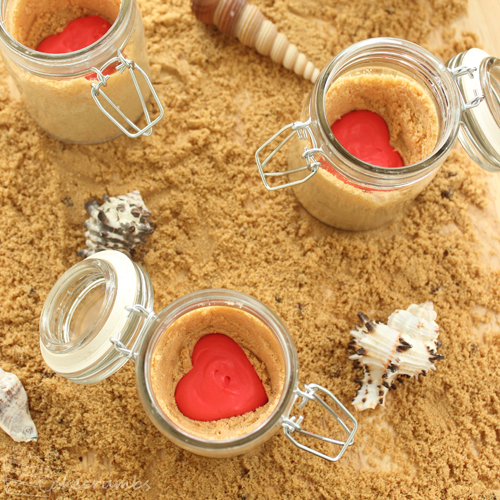 You can also have fun with the shapes inside the jar and vary it for any occasion. Here’s how to make your very own jar of dirt. 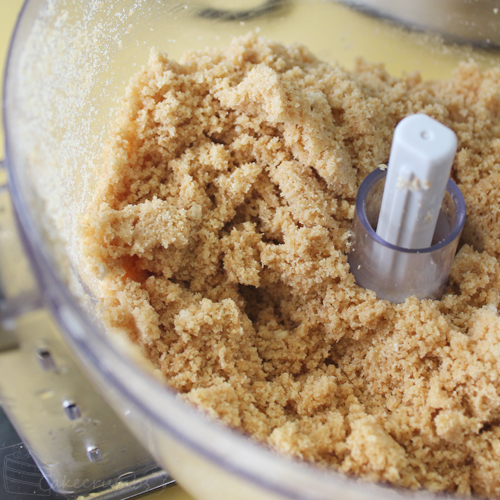 Crush or process the biscuits in a food processor until the mixture is finely crumbed. Mix or process the butter into the mixture. The crumbs should just adhere when pressed together (add a little more butter if they don’t). 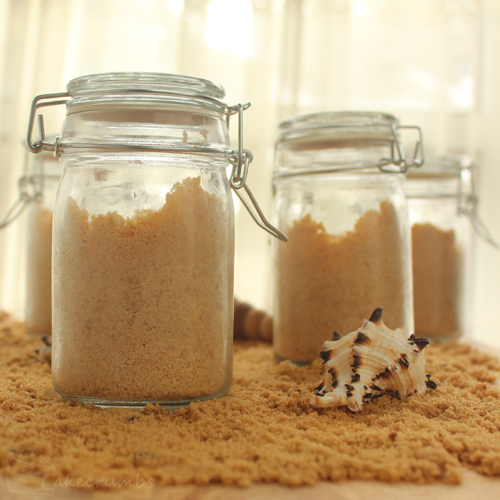 Prepare the jars by dividing the crumbs between them. 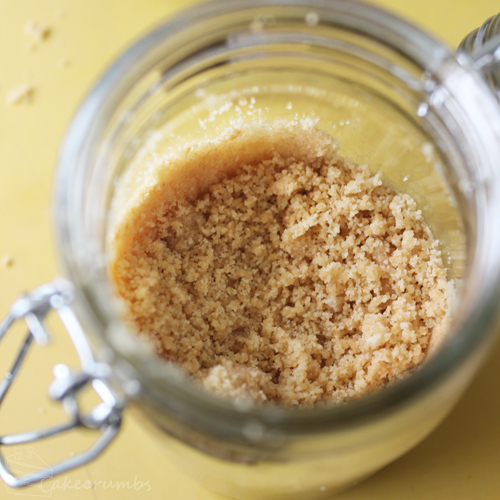 Use the back of a spoon to push the crumbs up the sides of the jar. 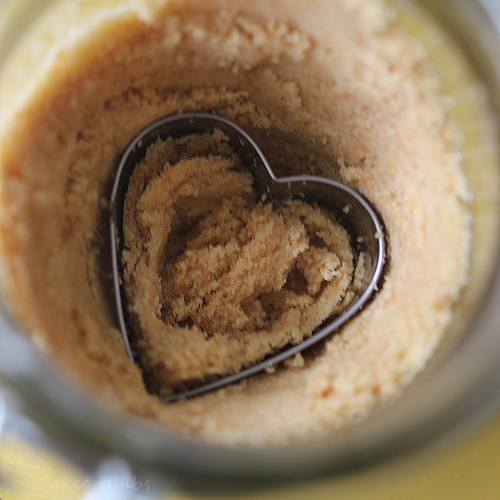 Using a heart shaped cookie cutter as a template, clear away the crumbs to make a heart-shaped column down the centre of the jar. Place jars in the fridge. Meanwhile, place the gelatine and water in a heat proof jug and stand in a pot of gently simmering water until the gelatine dissolves. Beat the cream cheese and sugar together until mixture is light and fluffy. Beat in the cream until well combined. 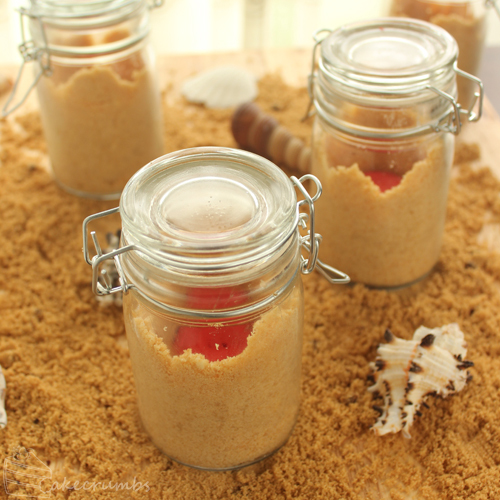 Beat in the flavouring essence and any food colouring, then beat in the gelatine. 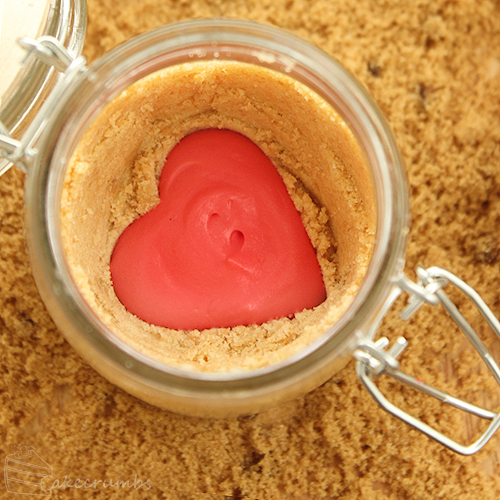 Pipe or pour the mixture into the heart-shaped clearing you’ve made in the base. Leave to refrigerate for at least an hour before serving. I was tempted as I had some rum essence in the cupboard, but none of us can stand it! This is soooo cute! It will be a great treat for Valentine’s Day! Thank you! Definitely an easy Valentine’s treat! This is a very clever and attractive idea. I’ll bet it is yummy, too. Google will do it for you. If you type ##g = oz into the search bar it brings up the results. Thank you! I will do this, but I always find it easier to use measurements like Cups and tablespoons. It is easier for solid measurements because you don’t have to weigh them. Often it is, though I rarely use them as what constitutes a ‘cup’ is different in every country. I’m aware that most of my readers aren’t Australian so would have different sized cups. I typically only give cup measurements when the amount doesn’t need to be specific. Sorry for the inconvenience! I love that you use the metric system. It’s way more universal than cups and tablespoons. And in the end, Americans are the only ones not used to working with it. I’d consider it a little unfair to use a method only one country would understand. Another very clever and unique idea. And of course, very tasty. I love the surprise heart in the middle. Also, lovely seascape background you created. Thank you! I just couldn’t resist getting the shells out for the photo.